Standard Poodles located in the Texas Hill Country. bred for intelligence health and beauty. 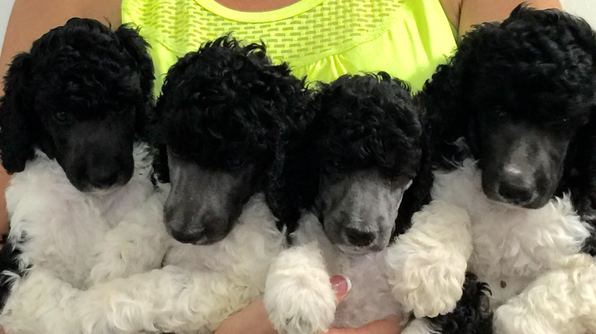 Currently we have a litter of Standard Parti Poodle puppies available. These puppies are in shades of blue with white and cream with white. No browns this litter. Puppies are registered with AKC and come with a health guarantee. I do not breed often as lots of time and money goes into each litter prenatally and for the duration of the time the puppies are here. They receive excellent veterinary care, premium diet, professional grooming, Bio-sensor and socialization. Plus lots of love.